In an analysis of television ads across all product categories, Nielsen found that in general, live action ads were more effective than animated ads. For all major categories, live action ads scored 22% higher than animated-only ads in Brand Recall — which is the percentage of TV viewers who can recall the commercial and its adverted brand 24 hour after viewing it. Live action creatives were more effective than animated ads across all major demographics as well. While live action ads resonated equally among both genders, Brand Recall was 27% stronger for females and 17% stronger among males than for animated ads. Adults 35 to 49 saw a 24% increase in brand recall for ads that used live action vs. animated. The gap did shrink among viewers aged 13-35, who only showed an 11% change between live action and animated creatives. When looking at consumer packaged goods specifically, ads in the personal care category appeared to struggle the most when using animation. For certain personal care products, brand recall was twice as high among spots using live action vs. an animated theme. The latest Three Screen Report from Nielsen finds there is again another jump in viewing done over the Internet. And to the surprise of some, traditional television viewing also continues to grow. However, the report notes a slight decrease for watching video on mobile devices. In the second quarter of 2009, the monthly time spent watching TV in the home by each user reached 141 hours and 3 minutes, up from 139:00 a year ago. People who watch video on the Internet averaged 3 hours and 11 minutes compared to 2:02 last year. However, the monthly time spent watching video on mobile phones was actually lower than a year ago … down from 3 hours and 37 minutes to 3:15. Is it any surprise that major retailers still turn to traditional TV to reach the masses? People spend more time with television in just two days than they spend all month long watching video on the Internet and mobile phones combined. And when it comes to critical mass, TV continues to lead the way in a big way. While Internet and mobile viewing are showing growth over previous years, numbers that do so are still relatively small, especially for mobile viewing. Nielsen finds that 284.4 million Americans watched some TV in their homes during the second quarter. Less than half of them (about 134 million) watched some video on the Internet, while only 15.3 million watched video on mobile phones. So, what good is a retail TV commercial, if a day later you can’t recall who the commercial was for? It’s not enough to entertain the masses; your commercial must have above average brand recall if you want to make the cash register ring. The following companies get that. And that’s why they were named as Nielsen’s Top 10 Most Memorable Ads for July 2009. The list is based on the top recall scores of new commercials that ran in July. The Recall Score is the percentage of TV viewers who can recall the brand of an ad within 24 hours they were exposed to it during the normal course of viewing TV. These scores are then indexed against the mean score of all new ads during the period (Recall Index). A score of 100 equals average. For example, with a Recall Index of 245, the top ranked Pizza Hut ad has proven to be over 2.4 times more memorable than the average new commercial that aired in the month of July. Now that I got that out of the way … sit back and enjoy! 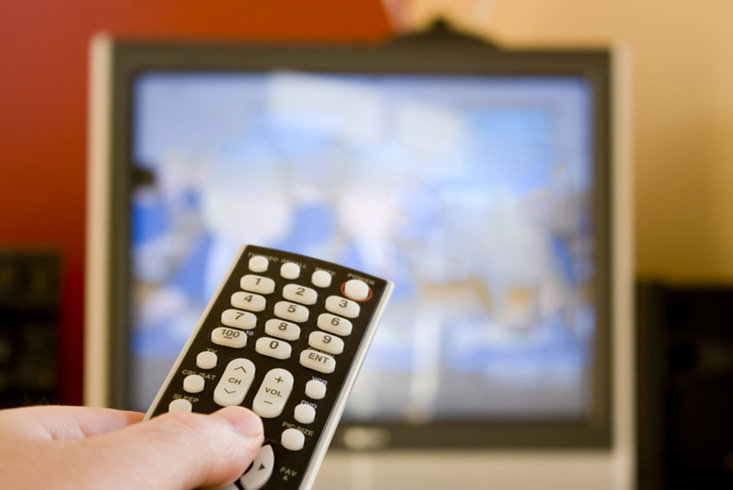 Why do retail advertisers continue to spend 46% of their ad budgets on television advertising? And only 7% on the Internet? It makes perfect sense to me. TV commands such a lion share of the nation’s media spending because it deserves to. After all is said and done, it comes down to results. No amount of wishful thinking can change the fact that TV advertising produces better “brand building” results than any other media platform, including the Internet. Don’t know about you, but I could of swore I saw the Geico Gecko and that creepy, but effective Burger king character for the first time on TV. With that said, the Internet is a powerful complement to traditional mass media when it comes to providing consumers with in-depth information on a product or service. It’s weakness; however, is its inability to transform a brand promise into a brand personality. For that – nothing beats the sight, sound and action of a 30-second television commercial. TV is not dead and it’s not dying. There’s too much evidence out there for anyone with slightest bit of intellectual honesty to deny. You don’t have to look any further than online video consumption to realize that television is more than holding its own in the digital age. Are people really abandoning their 50 inch plasmas in favor of viewing downloaded video content onto their laptops and cell phones? Or are they spending all their time on YouTube watching one of the thousands of insipid videos submitted each and every day? Perhaps some are, but it’s far from being a groundswell – even among the young. According to the latest Nielsen Media Research Study on media usage, 18-24 year-olds are watching just under 5 ½ minutes of online video a day versus 3 ½ hours of TV daily.